Project Stoa offers Educational Technology infrastructure to University of São Paulo. Since 2007 its social network offers a Web profile for active and former members of its community including alumni. So far 90 thousand profiles have been created. 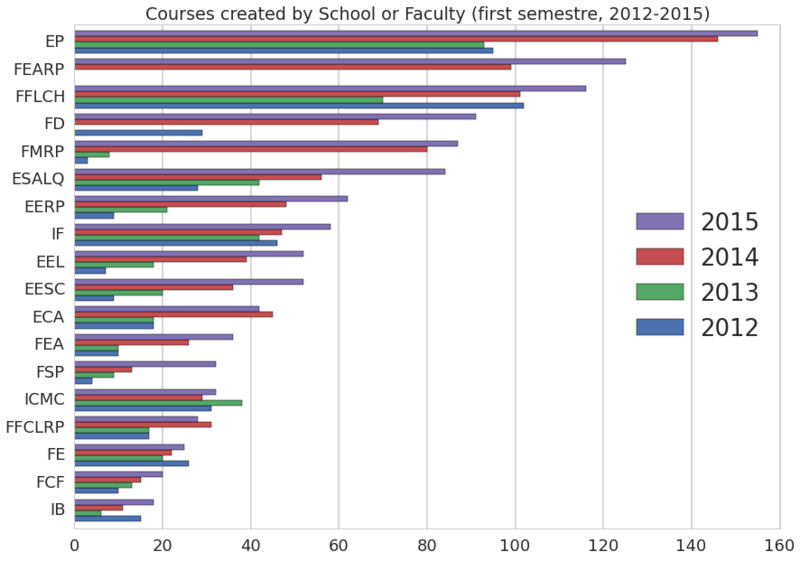 The Learning Management System, implemented by Moodle Stoa, a customized deployment of Moodle, is the main driver of growth. Project Stoa’s implementation of Moodle and its integration with USP’s academic systems allows individual teachers to create an online space for their courses with a few simple clicks. This grassroots, bottom-up approach to the provisioning of Educational Technology led to 30-50% per year growth. 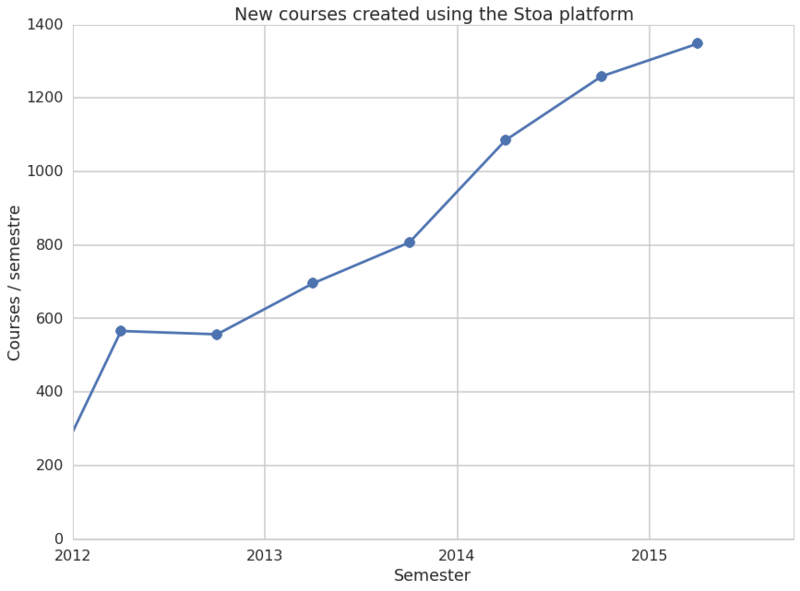 In the first half of 2015, for example, Stoa’s Moodle was used for over a thousand teachers, for 20,000 active students and was used as support for 20% of all courses offered by USP. From December 2014, with the new structure of Information Technology at USP, the STI is responsible for the hosting environment. The management of Stoa systemsis being equated by the Office of Provost for Undergraduate Studies, responsible for compliance with the guidelines and educational USP policies.